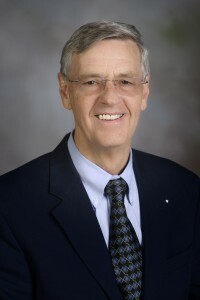 Clifford Randall has spent much of his professional life teaching students as a professor of engineering. But he also has taught by example, as his accomplishments as a leading engineer working with wastewater treatment facilities and other complex water-quality issues around the world have been an example to countless students he taught during a more than 35-year teaching career. Born in Somerset, Kentucky, Dr. Randall studied civil engineering at the University of Kentucky, graduating in 1959. He earned his M.S. in civil engineering at UK in 1963 before earning a Ph.D. in environmental health engineering at the University of Texas at Austin in 1966. He served three years in the Commissioned Officer Corps of the U.S. Coast & Geodetic Survey, with most of his time spent in the Chesapeake Bay Environs, particularly the lower Potomac River Estuary. Dr. Randall’s teaching career at the University of Texas began in 1965. Three years later, he moved east to join the environmental engineering faculty of the Virginia Polytechnic Institute, where he served as chair of the Environmental Engineering and Sciences programs from 1979-96 and as a professor until 2001 when he attained Emeritus status. Dr. Randall also served as a visiting professor at the University of Cape Town, South Africa. With expertise in Biological Nutrient Removal, eutrophication, industrial wastewater treatment and water pollution control, his work has helped hundreds of wastewater facilities to reduce nutrient releases without incurring major increases in treatment process costs. The Virginia State Water Control Board asked him to establish the Occoquan Watershed Monitoring Program. He led the Occoquan Laboratory as it pioneered suburban and urban non-point pollution research and control, watershed-wide water quality monitoring linked to reservoir water quality responses and evaluation of atmospheric pollutant deposition. Dr. Randall introduced biological nutrient removal (BNR) wastewater treatment to the Chesapeake Bay area in 1984, and worked with the Hampton Roads Sanitation District from 1986-90 to develop the public domain patented VIP process, now in operation at the plants in Norfolk and Suffolk, Virginia. His efforts have resulted in the modification and operation of over 30 BNR plants in Virginia, Maryland, Pennsylvania, and Delaware, with another 21 plants currently being evaluated for BNR implementation. and environmentalists, while satisfying the demands of regulators and those being regulated. In recognition of his work and commitment to service, Dr. Randall has received numerous professional honors including the prestigious 2009 Joan Hodges Queneau Palladium Award from the American Association of Engineering Societies & Audubon Society.